It took a while but it is finally here! Brand new look of our home page. At short we will let you know what is new but we hope most of new looks you will explore for yourself, especially that doing so might win you a great prize! This would be one of the more important changes. We have changed our Money Back policy. 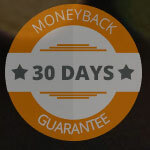 Right now if you decide to purchase new VPN or SmartDNS plan we give you full 30 days of money back guarantee. If you are unable to connect to our VPN servers (despite our help and support) we will refund your money. New VPN & SmartDNS promotion! Occasions such as brand new layout of the home page does not happen to often. There is no better way to celebrate such day than with proper VPN & Smart DNS promotion. We have decide to give you all a chance to try our premium services for as little as possible. 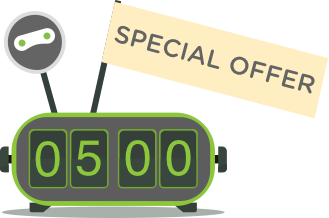 From today until we say it is over all our Premium VPN plans in monthly billing cycle as well as Premium Smart DNS in monthly billing cycle are 75% OFF!!! New contest – win Super Premium VPN (with SmartDNS)! It would not be right if we would not come up with an idea for new contest at the same time. Task is extremely simple. Look and explore new HideIPVPN website and share with us what you think. Tell us what you like, tell us what you do not like, tell us what would you change! What can you win? 3 months of FREE VPN (that of course includes Premium SmartDNS option). 3 best comments (according to us! 🙂 ) will be rewarded with 3 months of our best Super Premium VPN! Cool, ha? We expect to see your comments on Facebook under this post!